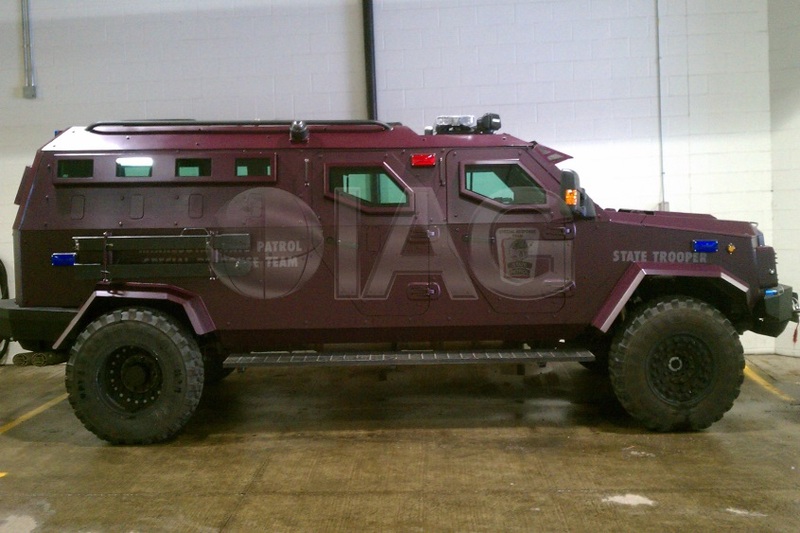 The IAG Sentinel XL TRV is an armored rescue vehicle designed for tactical response teams. 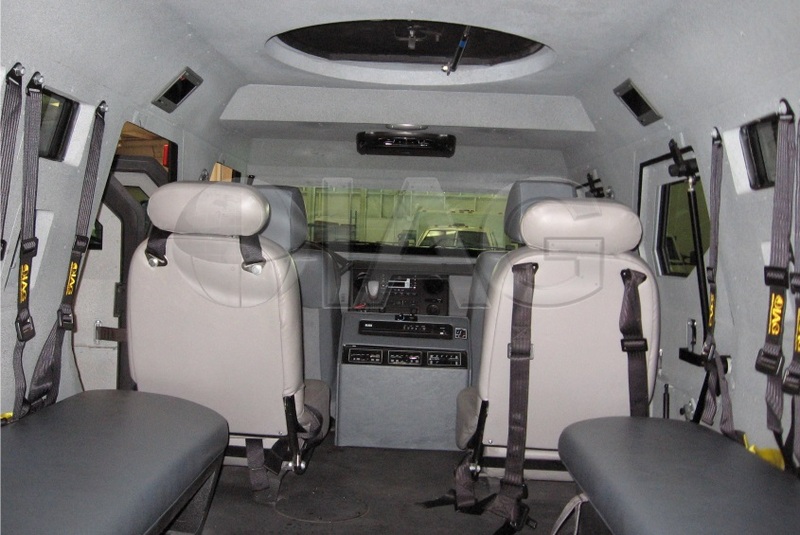 The Sentinel XL provides a larger seating capacity for bigger departments and can seat up to 12 men teams. Similar to its smaller brother, the Sentinel TRV, the XL offers both ballistic and blast protection. 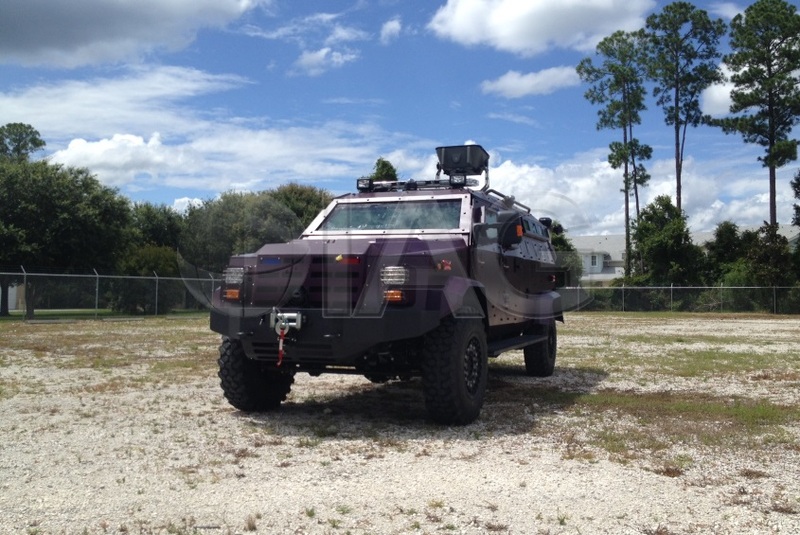 The entire vehicle cabin including the firewall and engine compartment are rated to stop .50 cal and armor piecing rounds rated to NIJ IV+, CEN B7 and .50 cal. 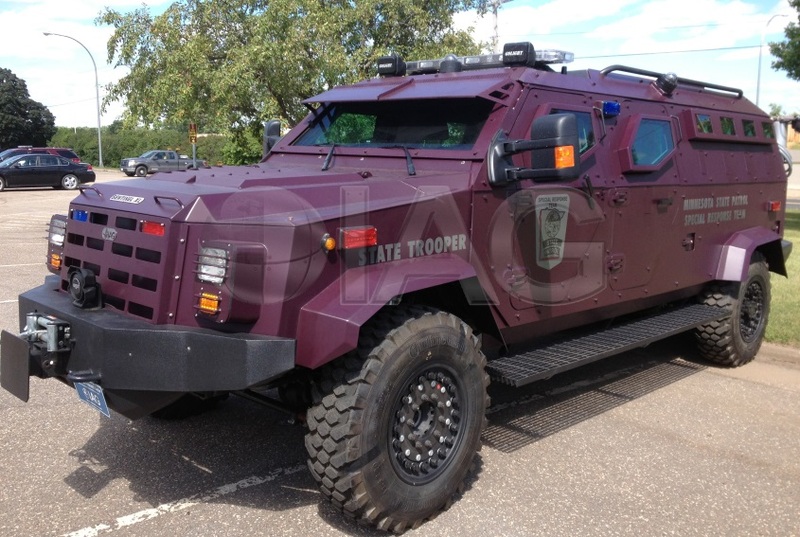 The 3 inch thick ballistic glass all around is also rated to stop multiple armor piercing hits. With its proprietary add-on armor design, departments can repair the Sentinel XL after it has taken a hit to the armor by simply removing the panel using simple tools. 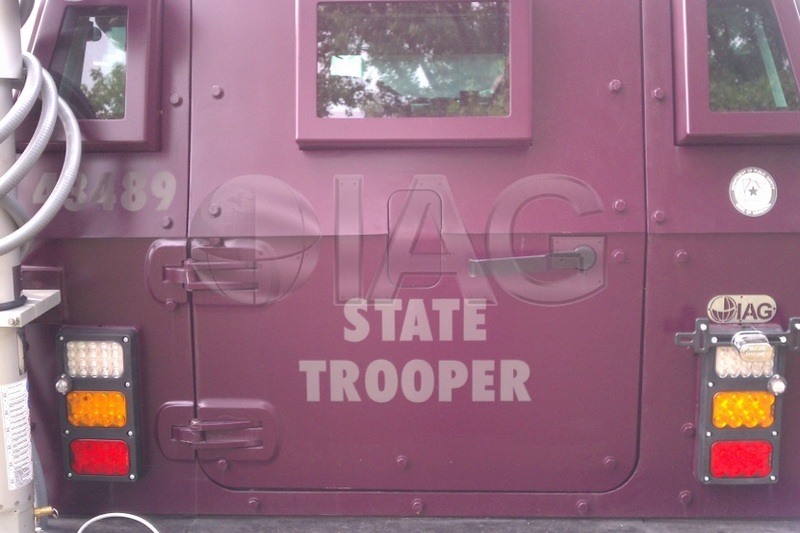 This feature is completely unique to IAG and not available on any other tactical vehicles on the market. The floor on the Sentinel XL ahs also been designed to offer blast protection against hand grenades, as a standard feature. The heavy duty adaptive suspension system and high ground clearance make this armored vehicle ideal for off-roading, traversing over uneven terrain, snow, mud and much more. It can also be used as a snow plow with the heavy duty bumper or to remove debris and road blocks suing the electric winch. Please be advised that the IAG Sentinel XL TRV is available to Government, Military and Law Enforcement only.